New research from law firm Hugh James raises question over health and safety in the workplace when it comes to fire risk. Legal experts also call for more emphasis on wider health and safety training for part-time employees as disparities revealed. Comment from Mark Harvey, a Partner at Hugh James. Almost one in five (16 percent) Brits work for a company where not a single fire drill has been carried out in the last twelve months, despite this being a UK Government requirement for workplace health and safety regulations, according to a new survey by law firm Hugh James. 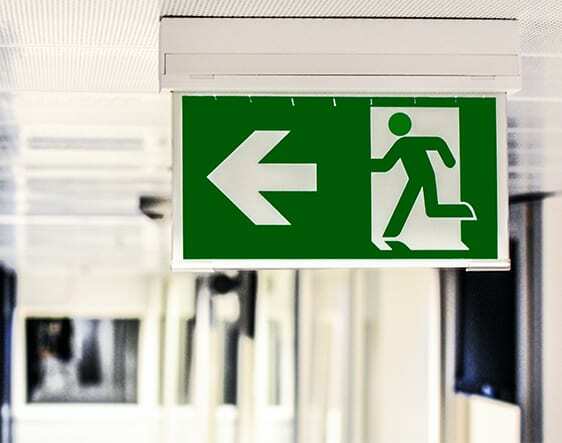 The survey, which polled 2,000 full and part-time employees working in the UK, revealed gaps in fire safety procedures when it comes to UK workplaces. Worryingly, the research highlighted that almost half (46 percent) haven’t received workplace training on what to do in the event of a fire or any health and safety policies at all. Furthermore, the findings also revealed that many couldn’t recall when the fire doors (42 percent) or fire extinguishers (28 percent) at their workplace were last inspected. Although 89 percent of respondents said they took workplace health and safety seriously, the research highlighted there is risk of employers taking a lacklustre approach in general when it comes to overall health and safety in the workplace. Specifically, the data showed that more than a third (36 percent) of employees either didn’t know where the accident log book is located at their work or that there isn’t one, whilst just over one in five (21 percent) of the 970 managers polled admitted to not following the health and safety protocol after every employee injury or accident. “With over a third of all employees (36 percent) admitting to not feeling competent enough to know all health and safety policies in the event of an emergency, it’s important that everyone in the workplace understands that they have a vital part to play when it comes to being responsible for one another to avoid mishaps in the future. The wide-ranging survey also revealed disparities between full and part-time workers when it came to health and safety training in the workplace more generally, with those in part-time employment at risk of missing out on adequate training. Nearly half (47 percent) of part-time employees said that they hadn’t had a health and safety induction when they joined their current company, compared with just under a third of full-time employees (29 percent) saying that they had not received an induction when they started their job. Part-time workers also felt less competent than their full-time counterparts in the event of an emergency, with 43 percent admitting they didn’t feel they would know enough should an incident occur. Interestingly the research also showed that part-time workers may be often put under additional pressure in the workplace when it came to taking a break during office hours. The study highlighted that nearly two thirds (61 percent) of part-time workers said that their employer didn’t actively encourage them to take a break during the working day compared with 47 percent of full-time workers who answered the same question.